The Freeman 27 is a spacious and practical boat. This twin engined version is easy to handle inland. This design heralded the beginning of the "modern" Freeman and was a development of the freeman 27 although stretched in every direction. The more sharp angular design with pigmented gels often in brown brought the models right up to date. 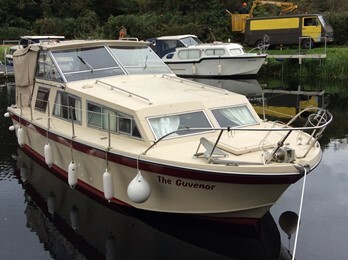 The medium V hull with keel allows easy river handling. These designs were considerably wider than the previous models and featured wheelhouse hard tops ( some soft top versions do exist). 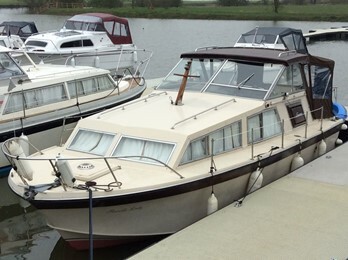 The 27ft mouldings were acquired by Aquafibre and a Sovreign 27 model was latterly produced by Norfolk Yacht agency.